6 Lower Baggot Street | Come Here To Me! 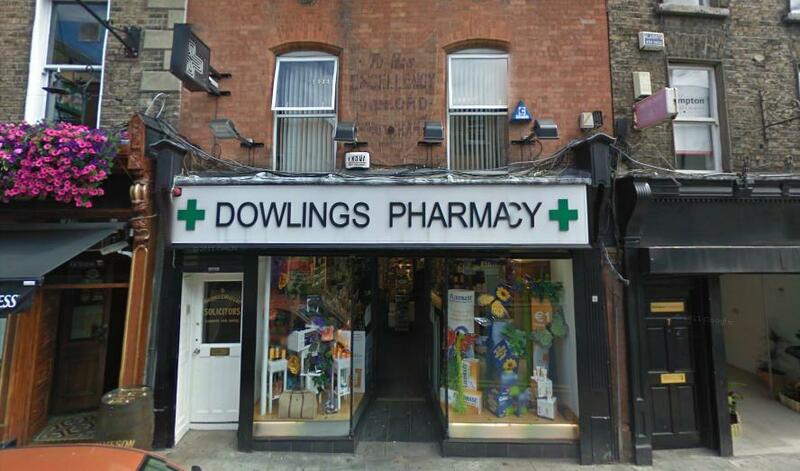 Next to Doheny and Nebitts on Baggot Street, I recently spotted a ‘ghost sign’ above Dowling’s Pharmacy. It clearly reads ‘To His Excellency, The Lord Lieutenant of Ireland’. 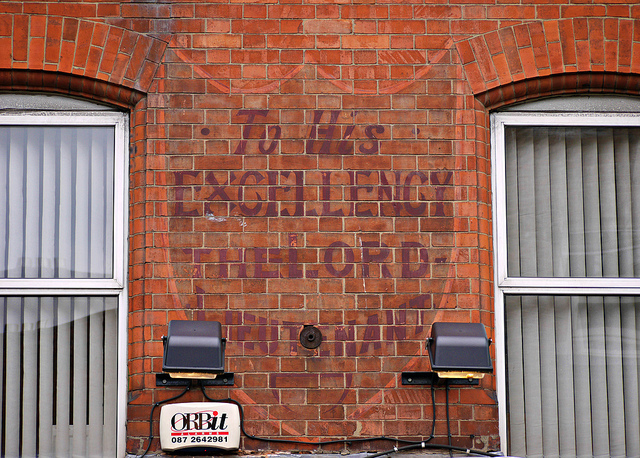 Flickr user Mic V. has taken an excellent image of this ghost sign which shows it in better detail. A search in the newspaper archives has not revealed much, but I’m sure someone out there knows the story of this premises or even has a photograph of it in a former life? I wonder is there “By Appointment” hidden or obscured elsewhere else on the wall? Roll out the forensics! I’ve seen a bill head for a shop in Baggot st which said Victualler To His Excellency The Lord Lieutenant. This was my Great Grandfathers Shop (Richard Samuel Webster ) in 1900 – 1918 at least – he was a Polterer and lived around the corner in 14 Ely Place. He also had another shop in Pearse Street and then later in Greystones. There is a photo of both shops I can send if you’re still interested- it is 5 years late!